It’s good that people are once again talking about the right to life. Another great moral issue of our times has dominated the conversation this year, and it seemed that the discussion about abortion was being neglected. Planned Parenthood has been in the news a lot the past few months, and rightly so. We should be discussing the dealings of an organization that provides abortions and is also funded by taxpayers’ dollars. 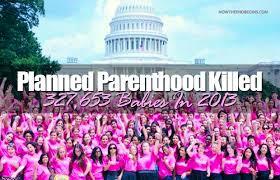 It is interesting to note that most of the attention has focused on what Planned Parenthood does with the body parts of the babies they kill, rather than on the fact that they kill babies. This shows us the great need to keep on discussing this issue, hoping that more people will come to a greater understanding of exactly what is at stake here. What other business could get by with that sort of slogan? Let’s keep talking about the right to life, and let’s hope that more people begin to comprehend the horror of abortion. “Rescue those being led away to death; hold back those staggering toward slaughter.”—Proverbs 24:11. This entry was posted in Christian Living, Culture, Current Events and tagged abortion, illustration, moral issues, Planned Parenthood, Proverbs 24:11, rescue the unborn, right to life. Bookmark the permalink.